Frequently Asked Questions About Wine! Since wine is a hobby of wine, I get asked a lot of questions about wine on a weekly basis. So I thought, it would be a great opportunity to share those most commonly asked questions and my opinion of the answer. Please keep in mind the blog is called ‘In My Opinion’ and if you were to ask someone else, they may have a different answer. This is by far the most popular question I get asked. And my answer is always the same “Any wine you like is a good wine”. I remember being in the Napa Valley in 2001 and asking that question to the guy doing my wine tasting at the vineyard belonging to Francis Ford Coppola. And he said those same words to me, and I remember feeling a little jilted on the answer. But think about it. My friend Anthony doesn’t like Cabernet Sauvignon or Chardonnay. I love both Cabernet Sauvignon and Chardonnay. So if someone were to offer him a glass of Cabernet Sauvignon, he wouldn’t enjoy it as much as I do. So to him, it wouldn’t be a good wine, but I may love it. Wine is like food – some foods you love, some foods you like, and some foods you don’t like. People’s opinions of what makes a good wine will vary – and no one is wrong. Sadly, many people won’t try Red wines because they don’t like the warm taste to their lips. Many people, including most restaurants, serve the red wine too warm. I was having a glass of wine with friends last night at a wine bar downtown. The red wine was served too warm, and I was a little disappointed because this place specializes in wine. Coffee should be warm, not red wine. This myth about ‘room temperature’ started back in the day when it was meant for the room temperature of the underground wine cellars. Even in the 1800’s homes around the world were not heated to a cozy 72-degrees. Most red wine should be served between 15 – 17 degrees Celsius, 55 degrees Fahrenheit. Some bigger wines, like a Shiraz, can be served at 18 degrees and some lighter wines at 13-degrees. White wines should be served between 9 degrees for a light wine and 11 – 13 for a big bodied white. Does a screw cap bottle mean it’s a cheaper wine? NO! It’s funny, we were sitting around last night and a friend of mine said she doesn’t buy bottles of wine with screw caps because it doesn’t feel right to her. More and more this perception is going away as more quality vineyards start replacing cork with screw caps. Here’s the deal. 10% of wines with cork get brought back they are bad – corks provide an irregular seal because of things like temperature swings. Only 4% of screw cap wines get bought back. How long does a Wine last once it’s opened? This question should have probably been Number 2! Like most of us, we would love a glass of wine at times, but wonder if the remainder of the bottle will go bad. The answer is no. The first thing you should do is seal and refrigerate the wine. Wine breaks reacts with oxygen when its warm and in smaller amounts, like a couple of hours, can really have the wine open up and enhance it’s flavor. Not for a couple of days though. So go to a Kitchen store and invest in a re-usable cork or wine seal. And put it in the fridge. When you go to drink it again, take out a glass, or the bottle for 20 to 30 minutes before you intend to drink it. Why does some wine give me a headache? Anyone who has ever gotten drunk on red wine knows it is the meanest of hangovers. Although most people blame it on the Sulphites, there are actually more Sulphites in white wine than there is in red. Chances are it’s the histamines. Histamines are found in the skins of the wines, and since so many red wines involve the skins, red wine gets a bit of a bad rap. Ease into red wine drinking. And take it from someone who has been down this painful road, don’t mix red wine with other drinks. Next week we will continue with the frequently asked questions. And please, by all means, send me your questions. I will do my very best to answer them. Next week we will answer all your questions, plus touch on the subject of “How do I know if a wine is gone bad’? And ‘the first time I tried this wine I liked it, the second time – not so much… why is that? I’ve never been to Bordeaux France, but it sure looks like a beautiful place to visit one day. I do know one thing for sure, they make beautiful wine in Bordeaux. In the 1930’s, after the introduction of the railroad, grapes were coming in from other places, and were being sold as ‘Bordeaux’. France had some fraudulent practices happening. So, in 1935 they formed Appellations, a system in which to define a wine region, by it’s grapes. 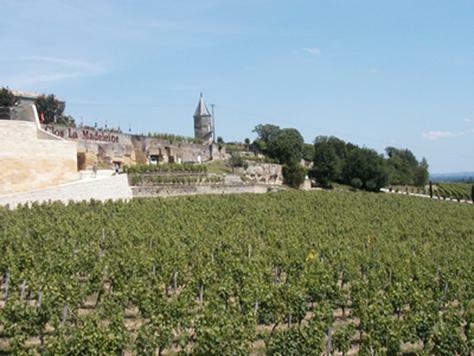 In Bordeaux, only certain grapes are allowed to be grown, so you know what you’re getting. And this is true throughout France. Bordeaux wines are Blends. Because of ecology, the reduced risk of a total crop loss and the potential to create more complex wines, a bottle of Bordeaux is a blend. Let’s start with the Reds. Grapes grown in Bordeaux that will make up a red wine are Cabernet Sauvignon, Cabernet Franc, Merlot, Malbec and Petit Verdot and less common now Carmenere. 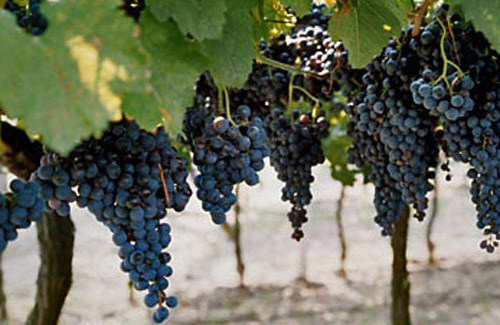 Bordeaux wines are usually Cabernet Sauvignon dominant or Merlot dominant. Bordeaux in Britian is referred to as Claret. (not pronounced Clar-ay, as one might think, but the ‘t’ is pronounced – clar-ette). Britian is a very important country in the wine world, not because it grows a lot of grapes, but because it buys a lot of wine. Here’s one of my favorites that I have written about before, and still have one bottle in my wine rack. It’s the Black Label Claret from Francis Ford Coppola. If this wine originated in France, it would be labeled a Bordeaux. Cabernet Sauvignon, Petit Verdot, Malbec, Merlot and Cabernet Franc. It is Cabernet Sauvignon dominant with big bold flavors of dark fruits, spice and vanilla. Perfect to pair with a nice juicy steak. Bordeaux wines can be some of the most expensive in the world. Situated in the village of Pauillac in the Medoc area of Bordeaux, Chateau Lafitte wines was given top classification back in the 1800’s and can command $1000 and more for it’s wines on a consistent basis. But you don’t have to spend $1000 to enjoy a nice Bordeaux. Here’s one I had the other evening, for just under $20, and it was gorgeous. I let it breathe for over an hour and it was fantastic. Ruby red color, this Merlot dominant wine has ripe cherry flavors and a touch of oak spice. Here’s another example of a Bordeaux that’s a staple in my wine rack. At $16.99 , Chateau Bois Pertuis is one of those fantastic deals you’ll find. A blend of Merlot, Cabernet Sauvignon and Cabernet Franc, this medium bodied beauty was aged in oak for 8 months. Very smooth with flavors of dark fruits, cherries, plums and a slight hint of smoky mocha that in no way over-powers the wine. Great value! White grapes grown in Bordeaux are Sauvignon Blanc, Semillion (pronounced Sem-ee-on) along with Muscadelle, Colombard and Mont Blanc. At one time Semillion was the most popular white grape grown in Bordeaux, with its richness and texture. However, this thin skin grape is very suspectible to Botrytis (rot) and by itself has almost a waxiness. It is fantastic when blended with Sauvignon Blanc, which in recent years has become the most popular white grape in Bordeaux and adds a crispness and freshness to wine. Here’s an example of a nice little white Bordeaux from France and it comes in under $16. 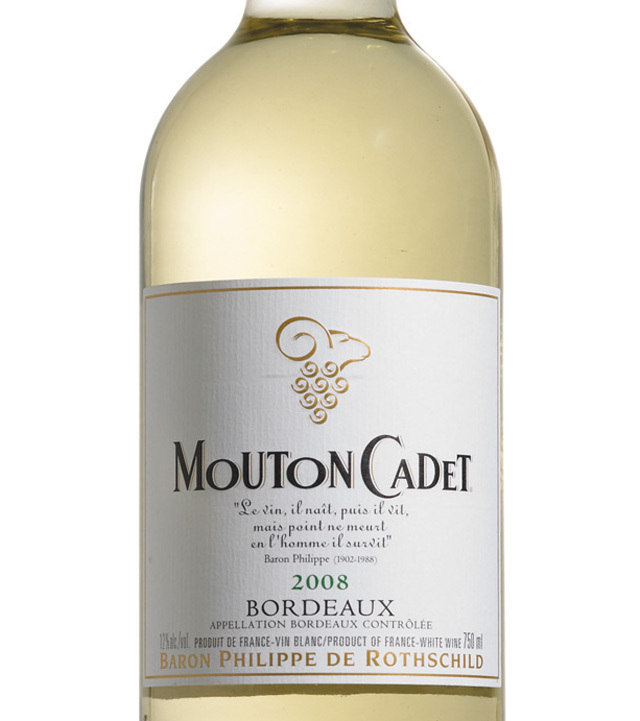 Light to medium bodied and gorgeous flavors of pear and peaches, with a hint of jasmine, the Mouton Cadet Bordeaux from Baron Phillipe De Rothschild is a winner. Here’s another white Bordeaux I have tried in the past week, in our class as a matter of fact. Chateau Pont de Brion Graves, 2009 vintage is a new style of White Bordeaux, and has less oak influence. 65% Semillion and 35% Sauvignon Blanc, this wine was well balanced with a touch of herbs. We weren’t eating in class but this wine would be very food friendly. Before I sign off, I did want to mention that in California it’s Meritage that is a Bordeaux style of wine. The Meritage Foundation was formed in 1988 by a small group of Napa Valley vintners, who wanted to create Bordeaux style wines but were frustrated by government regulations on the matter. This is a beauty from Robert Mondavi. My goal is to make French wine less intimidating for us everyday people. Don’t be afraid of the French wine section, you can find some fantastic wines in there. On Monday coming I start the next step in my journey to become a Wine Sommelier. I am undertaking 20 weeks of training in Old World Wines and Beers and Spirits, which is Modules 3 & 5 in the process to becoming a Wine Sommelier. This segment of my training is being done through the Canadian Association of Professional Sommeliers (CAPS). The Canadian Association of Professional Sommeliers (CAPS) is a pan-Canadian association, which brings together individuals within the sommelier profession, restaurant services, and other sectors of the wine industry. Since its inception in 1989, CAPS has promoted the profession, notably by its participation in the Best Sommelier of the World Competition. I am very excited to start the Old World Wine course. 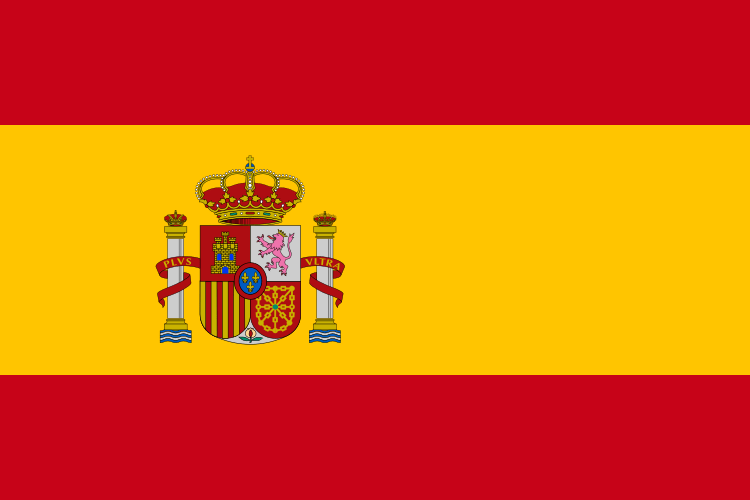 Old World Wine countries are France, Italy, Spain and Portugal. If you have ever noticed, these four countries tend to label their wine by region, and not by the grape variety. Which can be very intimidating for many people. For example, most people know if they love a Merlot, or a Cabernet Sauvignon. And they know pretty well what to expect when they buy one of these wines. However, do you know what a Primitivo is? Or a Burgundy? These are not grape varieties, they are regions. And in order to know which grape you are getting, you have to know the grapes grown in the region. Burgundy is a region in Eastern France. Burgundy grows Pinot Noir as its Red wine, and Chardonnay grapes for its white. So if you are buying a Burgundy wine from France, and it’s red, you’re drinking Pinot Noir. You get to enjoy all the wonderful Pinot Noir flavors, strawberry and raspberry, and the food friendly wine you have come to associate with Pinot Noir. 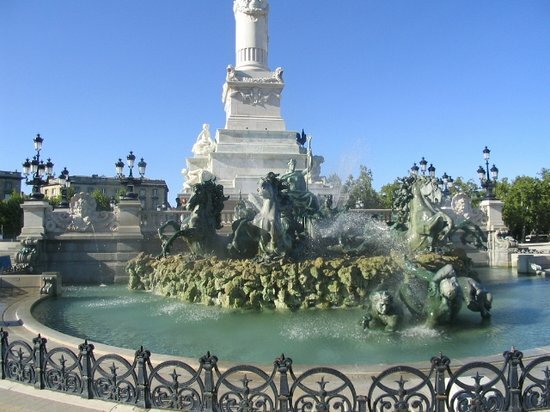 Bordeaux is another region in France, centered by the city of Bordeaux. Permitted grapes for this region are Cabernet Sauvignon, Cabernet Franc, Merlot, Petite Verdot, Malbec and Carmenere. Malbec and Carmenere are hardly ever used, Malbec has since become known in Argentinian wine regions, and when most people think Carmenere they think Chile. The wine above, Chateau Timberlay, is a wine I have written about before. It’s a blend of Merlot and Cabernet Sauvignon, but the Merlot is dominant here, so you get those smoky plum flavors that go so well with grilled pork. The Bordeaux pictured above is white. White Bordeaux is predominantly, and exclusively in the case of the sweet Sauternes, made from Semillion, Sauvignon Blanc and Muscadelle. Bordeaux wines tend to be blends, so it can be a little trickier. It’s no different than wines from Italy, Spain and Portugal. Unless you know which grapes are allowed in each region, buying a wine from an Old World country can be a coin toss for many people. Over the coming weeks, I will be using my weekly wine blog to help all my wine drinking friends decipher the Old World wines and hopefully make it easier for you to head to one of these sections in your favorite wine store. Keep reading my friends, these sections in your Wine store will intimidate you no more. I welcome you to join me on the next step of my journey, and thank you so much for reading and taking this journey with me.